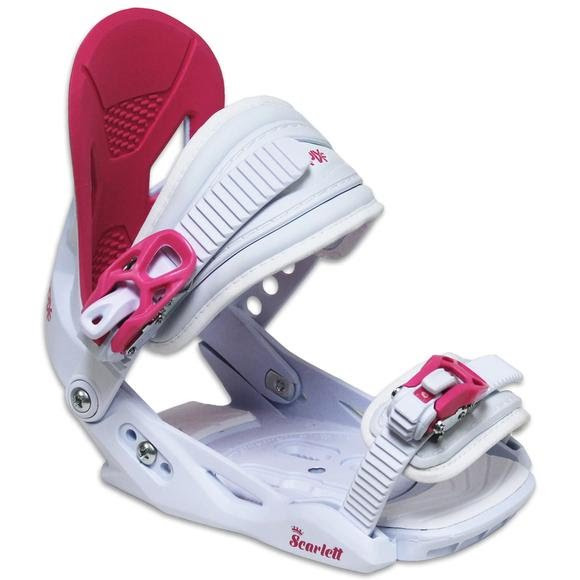 The Scarlet is packed with features that give young riders the comfort and performance they need on the mountain. The Scarlet features our padded anatomical highback for maximum comfort and control, along with tool-less forward lean adjustment. Quick-adjust lift-release ratchets, comfy Ultra-flex padded straps, and EVA padded soles make the Scarlet comfortable, while offering a perfect fit.